Are you a tennis beginner who is clueless about playing tennis? Are you an avid tennis player but find that your tennis skills are getting stagnant? Not everyone has the time or funds to follow tennis lessons, and the free information you can get from a variety of sources is not always consistent or reliable. Stop worrying. This website, Improve-Your-Tennis.com is the one-stop-shop for beginners AND advanced players who want to play better tennis. My name is Joel and I'm a Physical Education teacher and tennis coach. Needless to say, I am passionate about tennis. The game has been a big part of my life. During my tennis coaching, I focus on the fundamentals of the game. I know from my experience that having good fundamentals will quicken the learning pace as the player advances to a higher level. In other words, if you want to know how to play tennis, you need to get the basics right, first. And it's there where many go wrong or get lost. That's why I started this site: to share with you the fundamentals and all what comes after, so you improve your tennis. The website features useful and priceless information and many cutting edge tips to share with you. It's here for YOU – wherever you live! So... do you want to know more about tennis? Do you want to get great tennis tips to improve your tennis? If you answered “YES” to one or both of the questions above then go ahead and sign up for my FREE newsletter so you can always be updated on the latest tennis information that you can take massive action on for great tennis success. I promise to use it only to send you my Free Tennis Tips newsletter. And of course: browse this site and you'll find useful tips instantly. No matter how tough tennis is, you can always improve your game. Join my tennis community and let’s get better together! Tennis News is a special blog page featuring short messages about new additions and updates to this web site. Since August 2015, I have been conducting free tennis coaching session once a month. 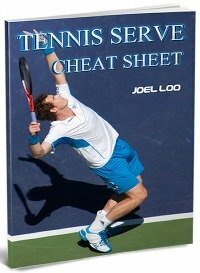 Free Tennis Tips – Improve Your Tennis.com Newsletter! 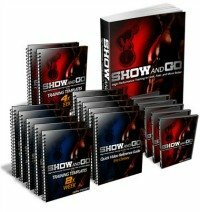 Eventually, I began receiving more and more questions about tennis resources, tennis tips, tennis trainings and tennis products etc. Getting into the habit of playing tennis matches regularly is a great way to get a good cardiovascular workout whilst simultaneously having a great deal of fun and socializing. Being mindful of tennis serve tips is incredibly important when it comes to making your service game as effective as possible. Show me a tennis player with a weak tennis forehand, and I'll show you a player who consistently loses games. It's impossible to attempt playing tennis without needing to execute a tennis backhand return very soon. It's simply an integral and unavoidable part of the game. When it comes to playing tennis effectively, it is important to master a number of basic techniques which are vital to crafting a winning game. It is hard to harness your mind, so use these three mental tennis tips to help you have an edge over your opponent. Making an investment in quality tennis gear has a huge impact on the enjoyment and success that is derived from the game. Tennis apparel in the modern era has evolved to become a strategic part of an effective game plan, as well as to allow for the expression of individuality and style. Investing in the best tennis shoes that you are able to will cause you to reap great dividends with regards to enhancing your effectiveness on the tennis court. If you want to know how to treat a tennis elbow, you need to know that term really means. 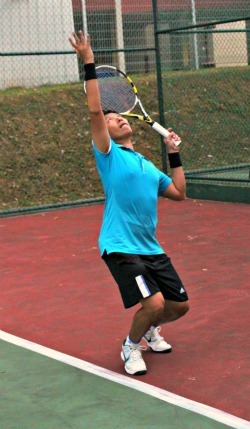 My name is Joel and I am a Physical Education teacher and tennis coach in Singapore. And I'm also the owner of Improve-Your-Tennis.com! 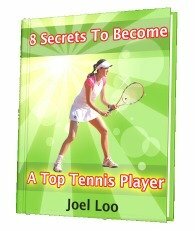 Improve-Your-Tennis.com provides valuable expert tennis tips and other information that helps you become a better player. Contact this site here.